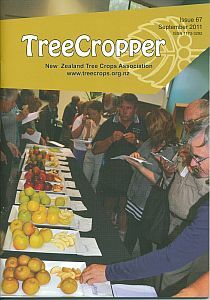 Diana Bell presented a selection of heritage apples for tasting during the Hawkes Bay 2011 NZTCA Annual Conference. 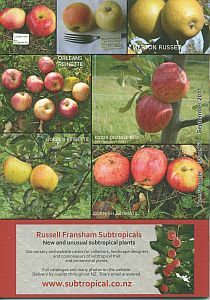 Sourced from Plant and Food Research’s heritage orchard of what was ripe at the time and looked tempting, the varieties included Egremont Russet, Rhode Island Greening, Golden Harvest, Merton Russet, Captain Kidd Kay, Grimes Golden, Kitaika, Opalescent, Hetlina, Karmijin de Sonnaville and Freyberg. NZTCA members were asked to rate them yuk to yum; with the result that Karmijin de Sonnaville came out a clear favourite. 20 Submissions to win – Submit your Articles and Photographs! Heritage apple varieties, as detailed. Photographs copyright to Krystina Hill.